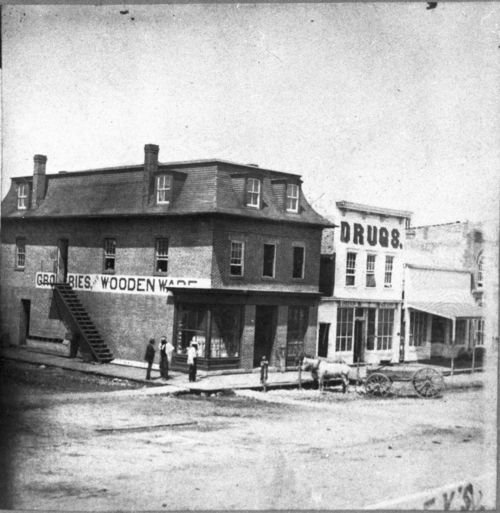 This photograph shows a view of the northwest corner of 2nd and Main streets in Ottawa, Kansas, with a store for groceries and wooden ware on the corner and a drug store next to it. There are a few people visible standing near the corner, and a horse-drawn wagon is visible in front of the buildings. Holding Institution: George Eastman House, 1957.